To watch this video in Hebrew, click here. Archaeological digs on the Ophel have occurred on and off since the middle of the 19th century. But only in recent years have royal structures been uncovered in Jerusalem that closely correlate to the biblical descriptions of King Solomon’s massive building projects in the books of Kings and Chronicles. In the most recent phase of the Hebrew University of Jerusalem Ophel excavations, this past summer, Eilat Mazar and her team set out to uncover more remains from the Solomonic period–and they did. But no one expected the most stunning discovery of all to come in the first week of the dig, after excavators had barely broken through the surface of a new area. There, just a few centimeters beneath modern debris, they began to expose a hoard of rare gold coins, silver and gold jewelry. And among these treasures was a real archaeological gem: a large gold medallion ornamented with a menorah, the iconic Jewish symbol of a seven-branched candlestick. “This happens only once in a lifetime,” said Dr. Mazar. This fantastic collection was discovered just 50 meters south of the Temple Mount, inside a Byzantine structure that dates back to the sixth century C.E. It had most likely been carefully packed and hidden by a prominent group of Jews during the Persian conquest of Jerusalem at the beginning of the seventh century. Just like the massive stones King Solomon used to build his royal complex, this newly discovered treasure, after being buried for 14 centuries, revives a riveting and powerful testimony from a long-forgotten chapter in the 3,000-year-old history of Jewish Jerusalem. This is the latest of a series of extraordinary finds Dr. Mazar has unearthed in recent years. Working on behalf of Hebrew University in Jerusalem, she has been uncovering Jerusalem’s history for decades. In 2009, she renewed work in the Ophel, at the foot of the Temple Mount, which she had once excavated with her grandfather, Prof. Benjamin Mazar, in the 1970s. A second phase of excavation in 2012 yielded her most recent remarkable find: a piece of pottery bearing the oldest alphabetical inscription yet to be found in Jerusalem. This past April, Dr. Mazar and her staff went back into the field to continue the second phase of the renewed Ophel excavations. Just five days in, workers Caridad French and Ahinoam Meyers were excavating in a Byzantine-era structure when they uncovered a large gold earring. The find was particularly startling because of its proximity to modern debris. As they continued, the second earring appeared, and then a number of gold coins began emerging, strewn across the area. Further excavation carried out by the team, including Dr. Mazar herself, revealed the menorah medallion buried in a depression in the floor and a cache of jewelry items tucked underneath it. Remnants of fabric found on the items indicate that they were at one time packaged in two separate cloth purses. The first bundle, containing the menorah medallion and other jewelry, was found undisturbed where it had been carefully hidden in the chalky floor. The second had a more dramatic fate. Its items were found scattered across the floor; apparently there had not been enough time to bury them. Dr. Mazar and her team believe the menorah medallion, which hangs from a gold chain, and the other jewelry items found with it were probably used to adorn a Torah scroll–a practice that Jews have been known to do for millennia. If so, the medallion and accompanying items would be the earliest known Torah scroll ornaments ever discovered. This appears to be corroborated by the appearance of the Torah symbol on the medallion itself. A similar medallion displaying a Torah scroll alongside a menorah can be found on display in the Jewish Museum in London, though its origins are unknown. The second bundle held 36 gold coins, two gold earrings, a broken gold-plated silver pendant and a pure silver ingot–probably all items that a Jewish resident of the city had intended to use as payment. Numismatics expert Lior Sandberg, who examined the coins, concludes that the last possible date for their minting is 602 C.E. Therefore, the gold coins and their accompanying items must have been abandoned sometime after this date. Dr. Mazar postulates that the treasure was abandoned around the time of the Persian conquest of Jerusalem in 614 C.E. Why Was It Left Behind? Historical circumstances give us clues as to why such a treasure would have been left in Jerusalem. After the city fell under Persian control, Jews flocked to Jerusalem, intent on returning and rebuilding their homeland. However, history recounts that as the Persians’ power waned, so did their support for the Jewish population. To appease the rising power of Christendom, the Persians betrayed the Jews and expelled them from Jerusalem. 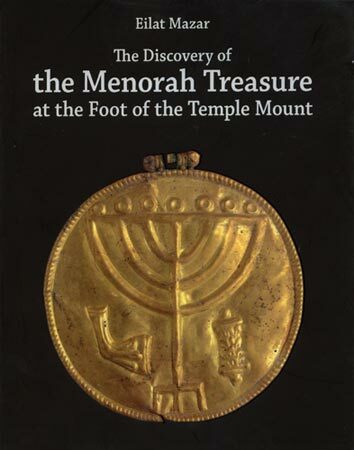 In her new book, The Discovery of the Menorah Treasure at the Foot of the Temple Mount, Dr. Mazar theorizes that the collection of Torah scroll adornments and the purse containing coins and other means of payment accompanied a group of prominent Jews sent as representatives from their community to build a synagogue in Jerusalem. This past summer, Herbert W. Armstrong College sent 13 students and two alumni to participate in this latest phase of Dr. Mazar’s dig. The students arrived on site in May and stayed through August. The group made up about a third of Dr. Mazar’s work force. Armstrong College students have participated in Dr. Mazar’s excavations since 2006, laboring on the dig site and helping to document and process the finds. When Dr. Mazar found herself with the unusual problem of having too much gold on her hands, she turned to the college to assist her in discreetly preparing to publish her initial research on the items. “Gold attracts attention,” she told the Trumpet. Not wanting to risk disrupting the excavation that had only just begun, and desiring to research further into the items, she chose to wait a few months before publicizing the finds. Armstrong College students and Trumpet staff helped Dr. Mazar prepare the above 17-minute film (recorded in both Hebrew and English) detailing the significance of the Ophel treasure. They also assisted in creating her press release and promotional videos in preparation for the public announcement of the discovery, as well as the English translation of The Discovery of the Menorah Treasure at the Foot of the Temple Mount. Finally, on September 9, Dr. Mazar called a press conference and announced it to the world. Casualmente hoy por la noche tengo un discurso en mi congregación sobre el rey Ezequias con el tema “Servir a Dios implica esfuerzo”, basado en 2 Cronicas cap.29 al cap. 32. Fantasticos los hallazgos arquelogicos de la Dra.Mazart, y su Team, todo esto sigue acumulando evidencia de que la Biblia es tanto la brújula para los arqueólogos de las tierras Biblicas como la luz para “los hombres de buena voluntad”, en este mundo sumido en las tinieblas. Any ideas of where the sites of the first and second sites may be? this is the city of David and it shouldn’t be far away the site of the temple? Could it be just close to,it? Are there any indications that what we have to the north wa the Antonia’s Fortress? Any news of the site? Just read Eilat Mazar book about Solomonic founds at the Ophel area and eagerly waiting to read about continuation of the dig! At the meantime one can ofcourse always “dig” the books from Leen Ritmeyer or Steven Collins, very interesting knowledge there too. Here in Finland Mazar’s books are not so easy to find but fortunately you people have created these absolutely beautiful pages here! Thank you and really hope to here about some news! As for now, we are still in a holding pattern before the next excavation. 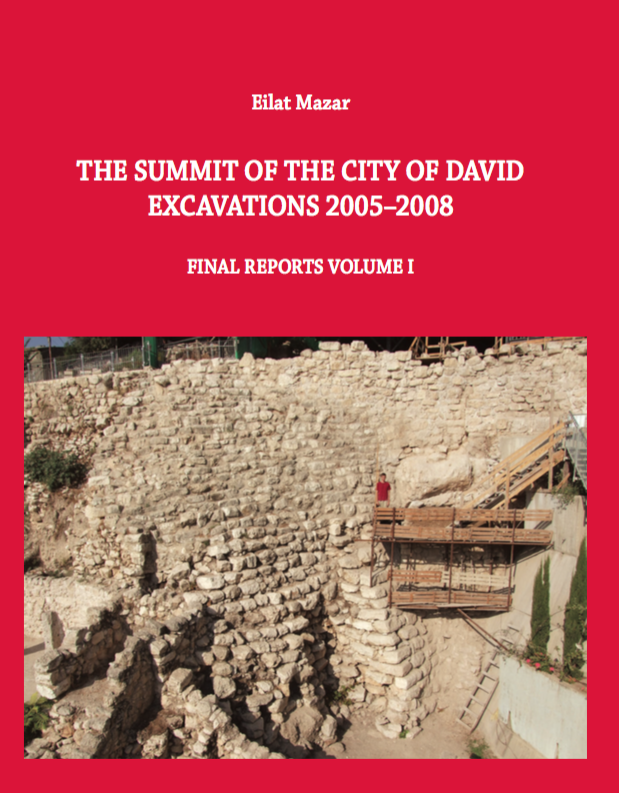 In the meantime, Dr. Mazar has been working with her team at Hebrew University to publish the first volume of the final report for the excavations at the Summit of the City of David. This will be available within the next month. Thanks for your continued interest. Greetings from Finland! Any news considering this issue (or ANYTHING else)? Really hope to hear some news!!! Excellent work you do there, really fascinating! Hello The Key to David’s City. 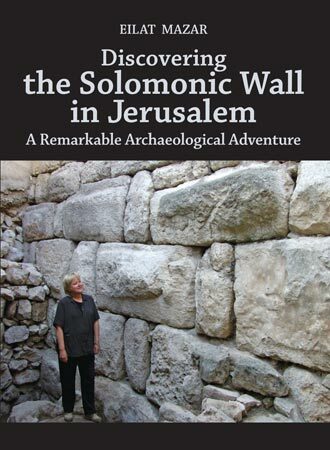 What a Wonderful book too ; Discovering the Solomonic Wall in Jerusalem -By Eilat Mazar. Its so amazining to see and to know just how real History is and just how much it all is apart of our lives…. We are all connected in the mighty scope of The Creator. Different places and times; each holding a treasure of wealth to behold from History, Present and Future! 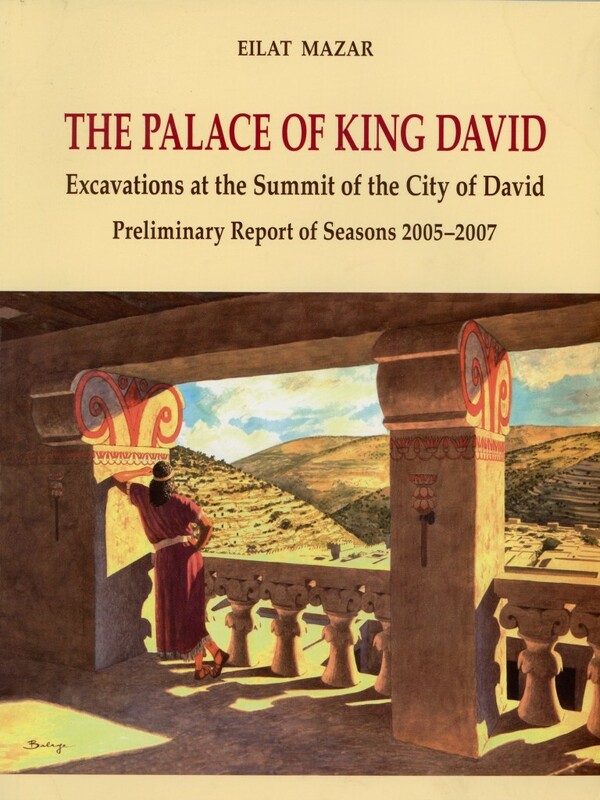 This year of 2014-15 has much to learn more about as time unfolds of The Palace of King David. Thank you all ~ what an Honor to be a volunteer in this project; Hallow be thy Name, thy Kingdom come on earth as it is in heaven….. where treasures of the heart are stored. Looking forward to much more. It has been a long time since we have more news. The excavations continue? Yes, we hope the excavations will continue, but are unsure of the timing as yet. A most astounding discovery! Congratulations to everyone at the dig site. Wow! Thank you also for this informative video. Keep up the good work. Israel – Please don’t let any terrorists sabotage this wonderful work! Can’t wait to read more about these most exciting finds! Nossa milenar e sagrada terra, para a eternidade! I wonder if any Palestinian finds were discovered in the region?! O to have been there! Can’t wait to see what gets uncovered next!! Eddig is figyelemmel kísértem, fantasztikus. Awesome! Congratulations my friends! What else is God have planned to unearth in these last days! I believe this proves even more the solid rights Israelis has to their land and particularly Jerusalem and the temple Mount! That’s their temple mount not Islams! Now let’s find the tomb of David! I believe that it’s somewhere in the location of that just found fortified city in the City of David! Kudos! Just awesome! Is it just me, or do the patterns on the links at the back of the medallion’s chain look a lot like Celtic knots?! The lessons that come from a dig like Eilat Mazar’s dig are so inspiring! To turn every piece of dirt, day in and day out, sifting through the sands of time…it’s such a testimony of her patience, hard work, dedication AND archeological perfection! Congratulations to Dr. Mazar, to her workers Caridad French and Ahinoam Meyers, and to all of the Armstrong College student who rolled up their sleeves in search of the treasures that will make the world stand up and take notice! This is so exciting and inspiring, I hope that Israel pays attention to the excavation of Dr. Mazar and the method of using the Bible in her research. What a grand relationship…that bridge of friendship that was begun by Mr. Herbert W. Armstrong and the Mazar family and continued through Mr. Gerald Flurry. It would appear that gold diggers are rare at the City of David site…but they do appear…a fine job of digging, Cari…bravo and brava! I believe I saw a young lady named Karin in the video…she was our assisting leader way back in 1984…she looks as beautiful now as she did almost 30 years ago…say hello to a long-lost friend from 1984. This is very exciting news…well done to the entire team under the leadership of Dr. Mazar. Selah! Es incredible, una Hermosa noticia en medio de tantas malas noticias en el Medio Oriente. Es una confirmacion mas para todos lo que creen que Israel no existio. Este Medallon es una confirmacion, que el Libro de Cronicas, Esdras y Nehemias son verdadaderos. No hay contradiccion en la Palabra de Dios. Gracias mil a todos, voluntaries, Arqueologos encabezados por DR. Mazar. Su persistencia absoluta de muchos mas descubrimientos vendran a sustentar que el Pueblo, Nacion de Israel atraves del tiempo es verdad. A Dios sea la Gloria!!!. Shalom. This is a wonderful thing for me to see what I have studied in Scripture and history come to life through these digs. The City of David lives! This is incredibly amazing! How those finds tells us a rich history of Israel during Solomonic times. This is just the beginning. Can’t wait what’s next to be found! Hearing about this and watching the videos made my hair stand on the ends and myself sitting at the edge of my seat. This news is really awe-inspiring and vision-filled! Remarkable connection of the history and the future. I can’t describe in words on how uplifted and filled I am with this wonderful news. The solomonic wall, the bullae, the exhibit and now…THIS! Keep up the good work. Looking forward to meet you archaeology folks soon! So excited on how this work will be progressing! What an awesome sight. Great find, and great video. Esperemos ver que en un tiempo muy cercano estemos comentando sobre los hallazgos de las tumbas de los reyes. Qué fantástico medallón, vaya que si es grande. Agradezco mucho a todo el equipo arqueológico que está haciendo una gran labor bajo la Dra Matzar. También por la prudencia de mantener en reserva el hallazgo de este tesoro para evitar la codicia por el oro allí encontrado. Definitivamente la Biblia cobra vida bajo las manos empolvadas de excavadores que tienen como brújula la palabra más firme y eficaz. Esto es increíble, fantástico… La emoción es tan grande que se pone la piel de gallina, ver estas piezas descubiertas. Esperemos porque seguiremos viendo grandes maravillas descubiertas por todos los encargados de la excavación en cabeza de la Doctora Mazar. Desde Colombia doy las Gracias por mantenernos informados. Absolutely stunningly beautiful! Dr. Mazar is a true professional and trendsetter in her field. She is definitely someone to watch. This is huge! Super uplifting and causes to soar! Wow! This work just continues to grow and grow. From its beginning with Dr. B. Mazar, then the iron bridge with Mr. Armstrong and Ambassador College, to these grand findings with Dr. E. Mazar and HWA College. We have seen the Solomonic Wall, The Bullahs, and now, the Menorah Treasure! It is just overwhelming and breath taking! It’s time for the nation of Israel to truly adopt this dig and spread the message about what’s being found under Dr. Mazar’s care and supervision. Every Israeli–and everyone with the slightest interest in history–should watch this video. Beautiful work on the English video! I can’t understand the Hebrew one, but it looks great. Absolutely a FANTASTIC find ! This is only the beginning. Exciting and awesome history. Thanks for the update. What a great discovery! It is very exciting to think about what else is waiting to be found! Thank you to everyone for all the amazing comments I’ve received! Never been so happy to share something like this. After 5 months of keeping it quiet, I’m glad to have the opportunity to speak about it. Thank you to Eilat, to Ophel, and Achinoam the greatest digging partner I could have ever asked for. So exciting and pleasurable for Armstrong College and The Trumpet staff to assist Dr. Mazar in her archaeological digs and especially with the most recent Ophel dig! I wonder what the reaction will be of the people in Israel and the Palestinian territory. Certainly this is an amazing find. Hopefully it will lead to an open door for more digging in that area. Dr. Mazar must be extremely excited. This is SO EXCITING!!! WOW!!! And the history it digs up along with it…What were the owner’s lives like? How did their lives end? Why didn’t they come back for their treasure? There is such a story behind this beautiful and meaningful treasure. After all these years, that story sees the light of day. Fantastic. What an exciting find! Has Eilat Mazar Discovered Archaeological Evidence of Isaiah the Prophet? 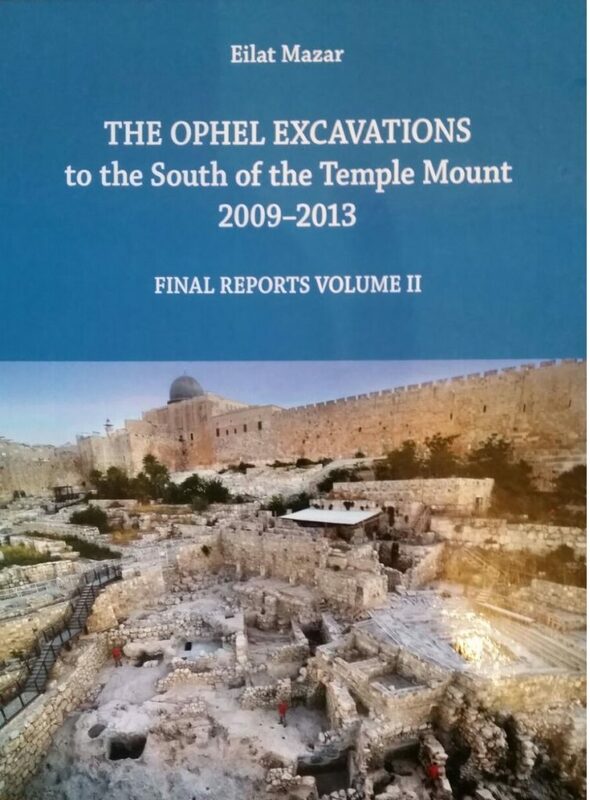 On April 22, 2013, Dr. Eilat Mazar reopened the second phase of her Ophel Excavation, uncovering the ruins of King Solomon’s complex near the foot of the Temple Mount in Jerusalem. Herbert W. Armstrong College sent fifteen students and alumni to Jerusalem to volunteer on that summer dig, which concluded in August 2013. Previously, from August to December 2012, over twenty representatives from the college assisted Dr. Mazar for four months during the first half of phase two of the excavation.